LG Electronics Inc.'s 65-inch OLED TV was named the best OLED TV of 2018, US industry tracker Consumer Reports said Friday. Japan-based Sony Corp.'s latest OLED TV, the XBR-65A8F, also won high remarks from Consumer Reports, but LG's product was more advantageous in terms of price, as the price tags on the two models were at $3,200 and $2,600, respectively. 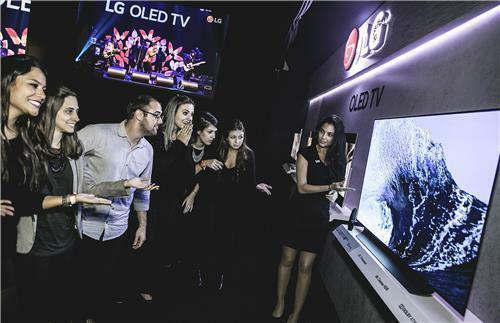 "There are far fewer OLED TVs on the market, and they tend to be expensive. So far, only two brands -- LG and Sony -- make them. But the sets can deliver a truly stunning picture, in part because they do a great job of displaying the blackest parts of an image," Consumer Reports said.